WHO HAS THE POWER TO IMPACT OR CONTROL YOUR LIFE? And how much time do you spend on other people's opinions, requests and demands? Do you feel like people trample on your emotional, physical or mental boundaries? Do you feel taken advantage of or not appreciated for all you do? Are you afraid of confrontation or to say No? Are you so self-protective that you feel isolated or lonely? Do you project a self-confident facade but feel that no one knows the real you? Luckily, this is not a terminal or fatal condition. Self-awareness is the first step to transform weak, unhealthy or nonexistent boundaries into strong, healthy, flexible boundaries. This can be exhausting and does not produce the happy, healthy life you deserve. 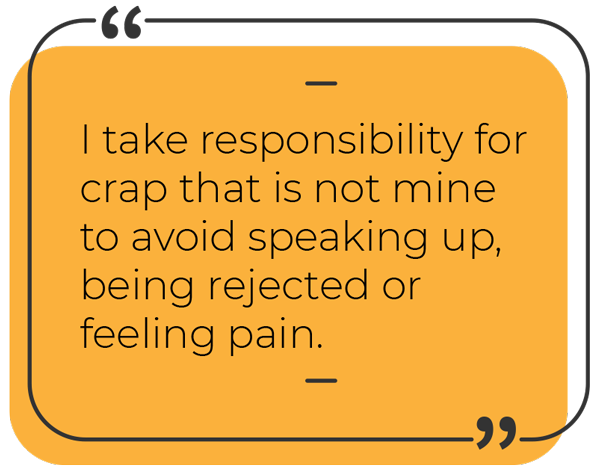 Seeking permission or approval from other people or protecting yourself so fiercely that you feel alone will never create the life you desire. If you want to step into your true power in your life, you must know what you want and don’t want. Plus, you must have the skills to draw clear boundaries and communicate effectively to negotiate for your needs, desires, and preferences. ARE YOU PLAYING SMALL TO KEEP THE PEACE? People can only take advantage of your time, kindness & energy IF YOU LET THEM. By over-giving and over-doing you are trying to control the chaos and discomfort of painful emotions. This high-functioning co-dependency and overfunctioning is part of an overdeveloped sense of responsibility for other people’s feelings and outcomes. It is depleting and ineffective. Only when you have the skills to prioritize your own crap will you be liberated from this old story. You will never ever live your life's purpose or your true heart’s desires if you are overly focused on controlling other people's experience. Is this your old story? It is time to learn how to speak up with ease, grace and love. The best way to do this is through a step by step, proven system. 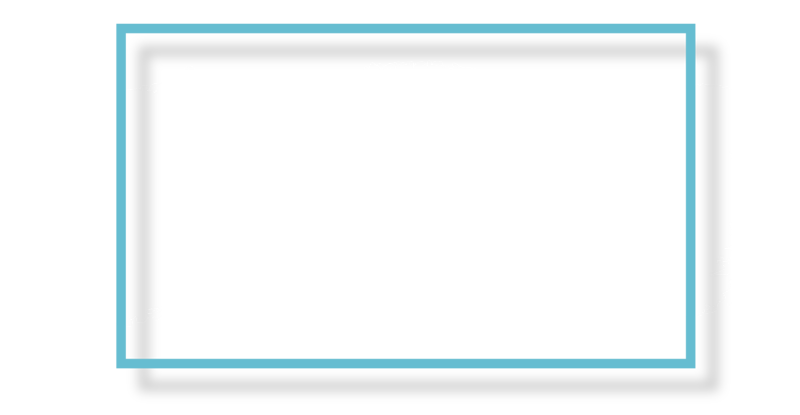 When you learn where your personal boundary blueprint originated plus the language and strategies to change dysfunctional boundary patterns, you will be empowered to take control of every aspect of your emotional, spiritual, physical, professional and personal life. Hands down, the biggest game changer to the most profound transformation is the ability to create Healthy Boundaries. Most of us were never taught how to effectively express our preferences, desires or deal breakers. your life and potential for joy, happiness, and satisfaction, expands exponentially. "Terri is a master at guiding people to create boundaries that serve not only their highest but also the highest of those in their lives. Working with Terri around boundaries has been game changing for me and has healed some of the most significant relationships in my life." 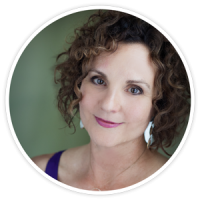 "Terri helped me create a new, much more positive thought pattern of possibility around love. And it was really sanity-saving. Really, I’m so grateful. I still use this method when I have any future-focused negativity come up. "You mean it's not normal to feel other people's feelings stronger than my own?" That was the first of many life changing lightbulb moments I had when I began working with Terri on my boundaries (which were non-existent.) Putting Boundary Bootcamp into practice every day has completely transformed my health, energy level, work, and relationships. I am so grateful. "Through my work with Terri, I have discovered that stating my boundaries actually makes me more - not less - lovable. And it means that ultimately, I have more energy, compassion, and time, which helps me to be my best self." 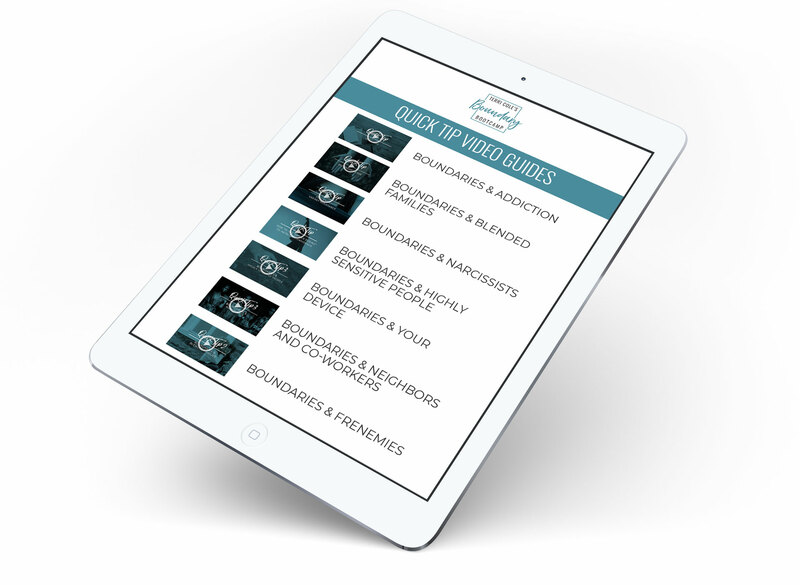 Receive a WEEKLY video released in your private membership area at terricolecourses.com. This platform is secure to protect your privacy. up to 20 minutes long. Your weekly video comes with a set of integration exercises, insightful Q´s and powerful assessments that will help you uncover valuable insight and apply your new knowledge to real world situations to produce week to week transformation. The integration exercises are designed to shine a light on your historical and current boundary struggles so along with a deeper understanding of self, you will also benefit from our collective group support. Join Terri on a Weekly Livestream on Zoom answering your Burning Boundary Qs! Terri's favorite part? The Livestreams! Answering your Q´s and seeing your transformation is her greatest thrill. Bring your Qs and grab a hot cup of tea and join Terri live each week from the comfort of your couch! Note: In response to our community's feedback, these calls will no longer be on Facebook to safeguard your privacy and boundaries :) and so that those who don't have FB can participate. 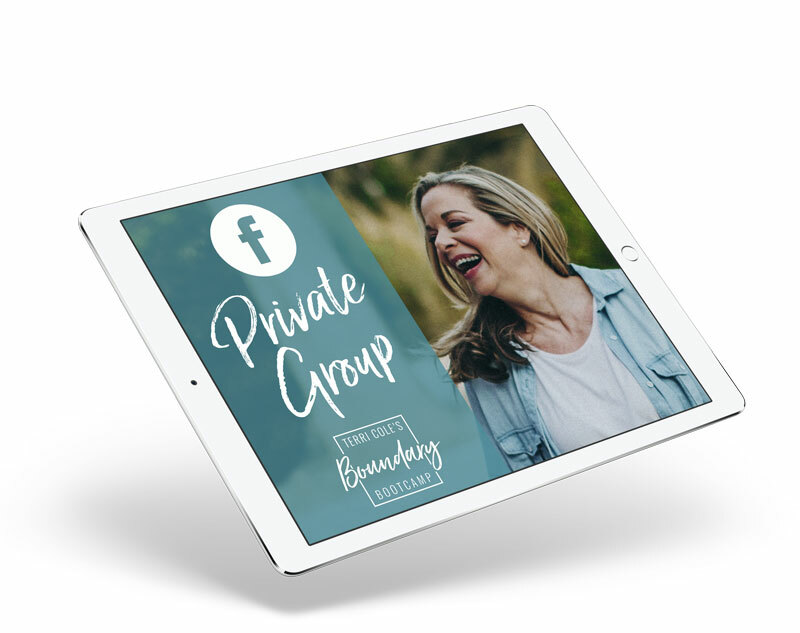 Over the next 8 weeks, we will spend time together in our private Facebook group exclusively for Boundary Bootcamp 2018 members. 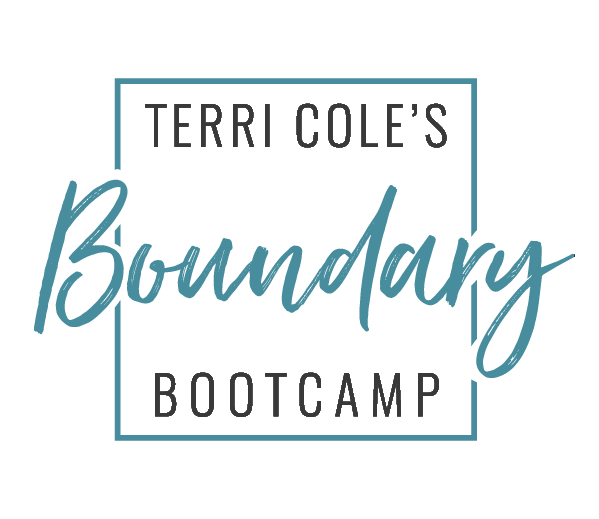 This is a sacred, safe space where you can share, post questions and be witnessed by your Boundary Bootcamp tribe of like-minded, like-hearted women while being led by Terri + Team TC as you become the Boundary Master you know you were born to be! 7 guided therapeutic meditations, one for each of the weeks to help you integrate new thought patterns and implement new behaviors. 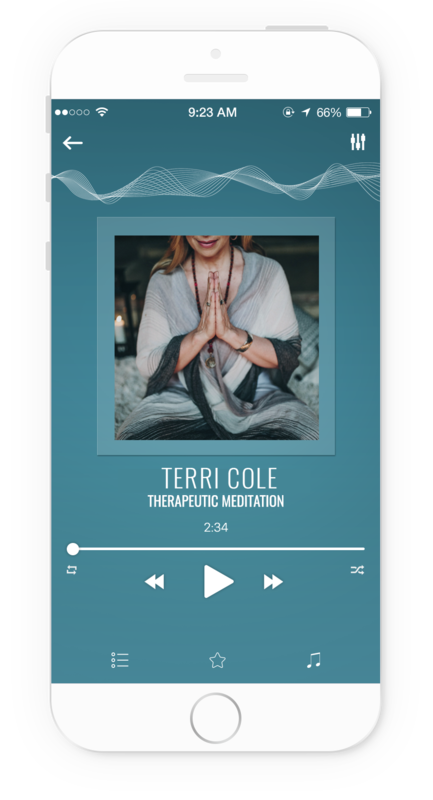 The therapeutic meditations are designed to impact your conscious and unconscious mind to accelerate your adaptation of new boundary behaviors. Uncovering any unresolved childhood or past injuries that drive dysfunctional boundaries. 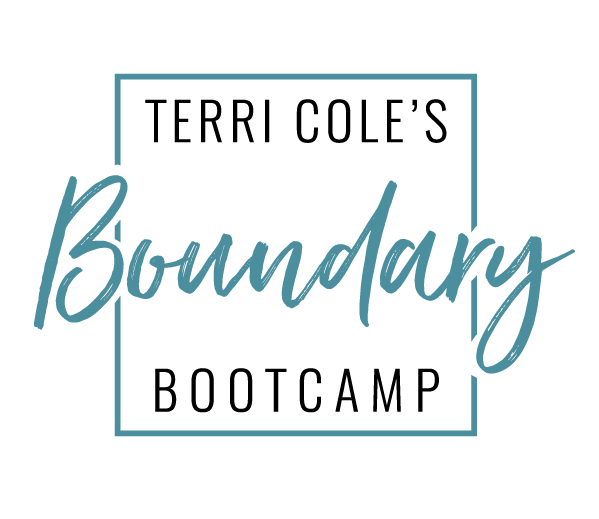 In this module, we will dispel the myths and reveal the truth about healthy boundaries as we dive into your personal boundary style. In this module, we will identify and remove your boundary blocks plus clean up the debris from past boundary disasters. 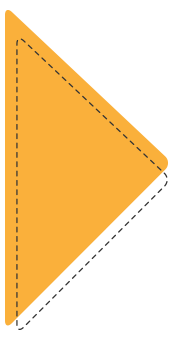 In this module, we are formulating your NEW boundary blueprint plus adding simple effective strategies to your boundary tool belt. In this module, we strengthen your ability to stay calm and hold your boundaries even when feeling triggered. In this exciting module, we are drilling down to your true heart's desire to create boundaries that are aligned. In this powerful final week, we will be breaking down the specific words, phrases, and strategies to use to draw boundaries in a variety of relationships and situations. "My relationship with my partner is stronger and more open, I feel empowered and confident that I can have whatever I want in my life and I even have been negotiating a pay raise without flinching!" "Terri’s work with boundaries is nothing short of genius. She gives you the skills, as well as immensely helpful language, to interact will everyone in your life in a more effective and easeful way. She has helped me sail through many sticky situations"
"As a psychotherapist, I knew that I HAD to do this course. I definitely saw improvement in my relationship with my husband, but I wasn't expecting my business as a psychotherapist to boom!" "I am deeply grateful to Terri. My life has changed so much already in the past few months...and I feel confident to set my boundaries with ease and grace. 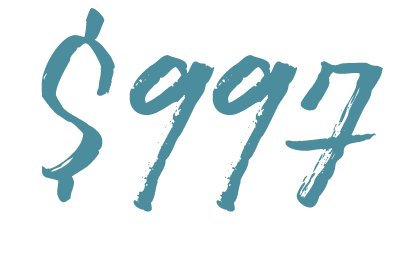 Boundary Bootcamp is the best investment I ever made in my life." "I have consumer more self-help books that should be legal. Boundary Bootcamp is without doubt the most life-changing thing I have ever participated in.  The format you use for livestreams and the website resources - it's so frickin' perfect!" "I HIGHLY recommend Boundary Bootcamp!! 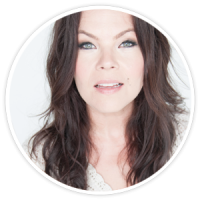 Terri creates a safe place for gaining awareness into why our boundaries are the way they are and for exploring what we actually want the boundaries in our lives to look like. " WANT TO HEAR FROM MORE OF OUR ALUMNI? Have you ever felt ready to have the conversation you've been avoiding to speak up about an injustice or to simply ask for what you want but you stay SILENT because you CANNOT find the right words? You are NOT alone! In Terri's two decades as a psychotherapist and master coach, this was a complaint she heard thousands of times which inspired the birth of, The Boundary Bible! In the Boundary Bible, a comprehensive effective communication guide, you will find powerful non-aggressive words, phrases, and strategies for all of your most anxiety-provoking interactions in an array of personal and professional settings. 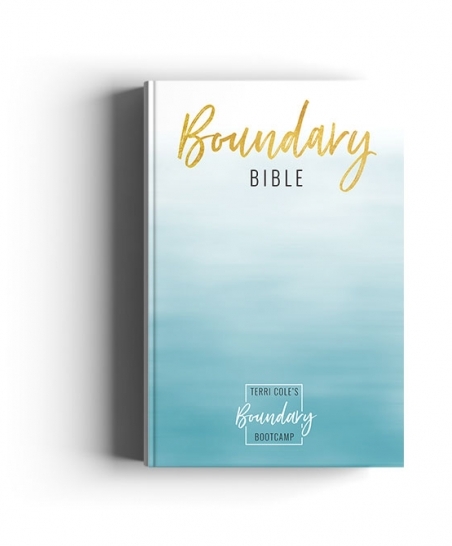 The Boundary Bible contains the most impactful language for truth telling, conflict resolution, and vulnerability building. NOW, you will have the right and perfect words at your fingertips when you need them the most! Ever been in a situation where you are just trying to say "Hello" to someone on the street, in the store or at work - and you end up agreeing to go for coffee, dinner or to attend a weekend barbecue? The "Hello & Goodbye" speed-course will teach you how to say hello and goodbye with ease and grace without feeling awkward, compelled to FILL the silence immediately or agreeing to things that you have ZERO desire to do. 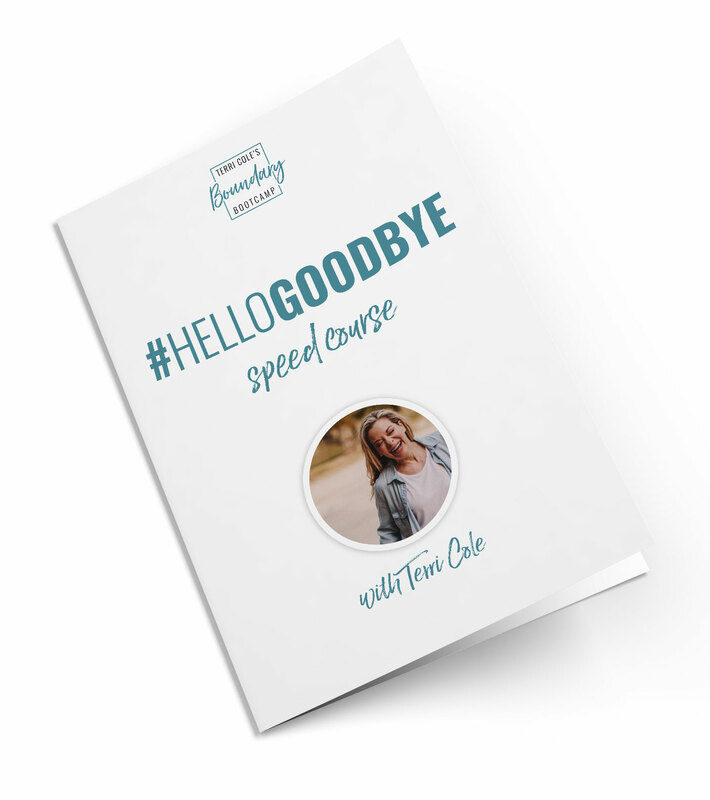 This #HelloGoodbye speed-course will save you thousands of precious hours PLUS eliminate a boatload of resentment and anger that comes from saying YES because you don't know how to say NO, at the expense of your true desire. 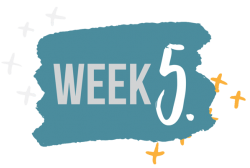 Terri will cover common scenarios that desperately need her #HelloGoodbye script...and she will create the language on how to say "Hello & Goodbye!" #BAM! In this Mini course Learn how to end the pain and confusion of over-thinking and second guessing every decision big or small. Become the director and decider in your life with confidence! This course will be delivered through video and downloadable PDFs.